Dalserf are hoping for a win. The Clyde Valley village of Dalserf might be small but it’s making a big, big effort to win a national competition. 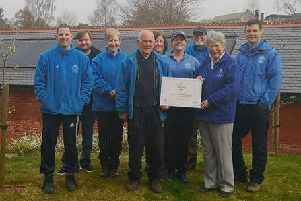 Its highly active Garden Club has entered the ‘Wee Villages’ section of the Beautiful Scotland’s contest to find the nation’s ‘greenest’ communities. Competition judges will shortly be arriving in Dalserf to make a tour of inspection of all the club’s work. These judges will have much to see, given all the effort the club has put into preparing the village to look its best for their visit. Winners of the contest will be announced in September.